Food is a science, and I love experimenting! I find pure joy in perfecting recipes. Make a cake ten different times to meet perfection…sure! Place frozen fruit in refrigerator overnight. Fruit is best partially thawed. Only thaw the amount needed for the recipe. CCP: Hold at 41 degrees F or lower. 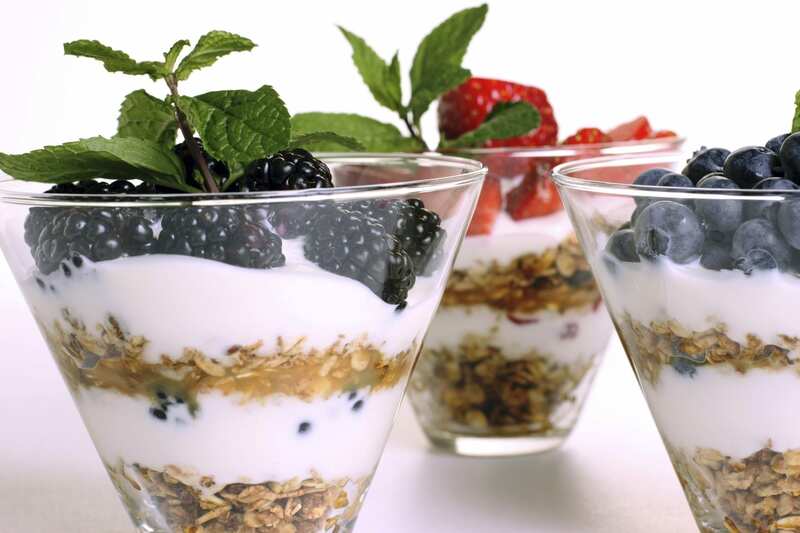 Prepare granola, cool, and store in lightly covered container. CCP: No bare hand contact with ready to eat food. Weigh thawed strawberries and fresh blueberries. Rinse blueberries in colander under running water and drain. Place 4 oz insert in cup and fill with 1/2 cup of granola, then top with domed lid.